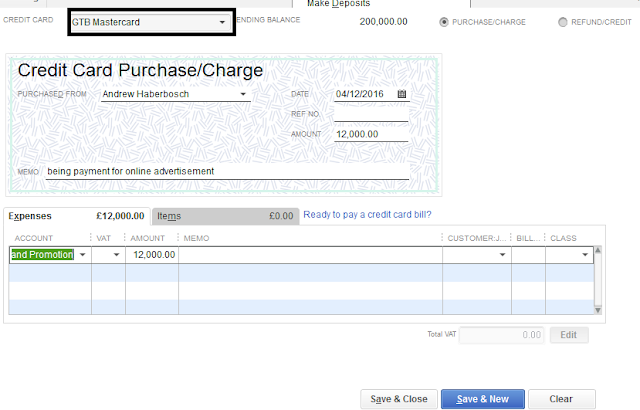 Before you make payment with credit cards or enter charges in Quickbooks, you need to learn how to set up credit cards in Quickbooks. 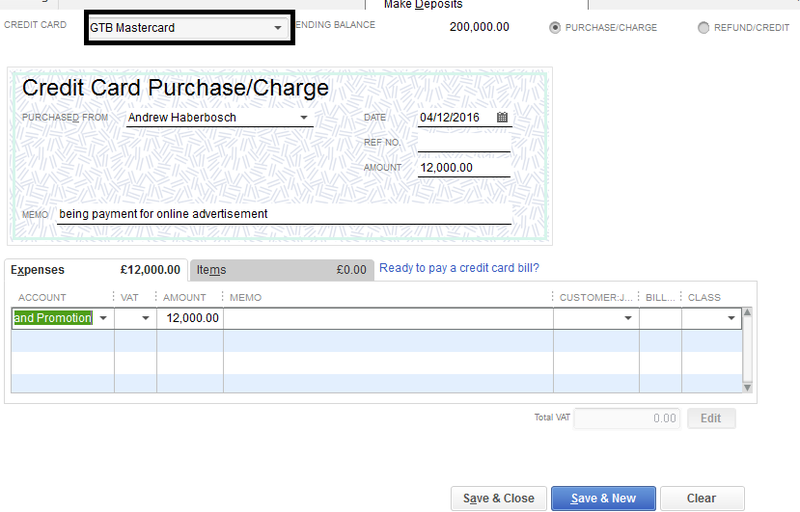 To make payment in Quickbooks, Click Banking on your Quickbooks menu and select Enter Credit Card Charges. Use this window to enter your credit card charges. Amount: Enter the total amount charged on your credit card. Account: Select the type of expenses incurred. Item: Click the item tab if you made a purchase order or paying for an item received - Enter description, quantity ordered and cost of items. Customer: Use this box to select the customer involved in the transaction if any or leave blank.